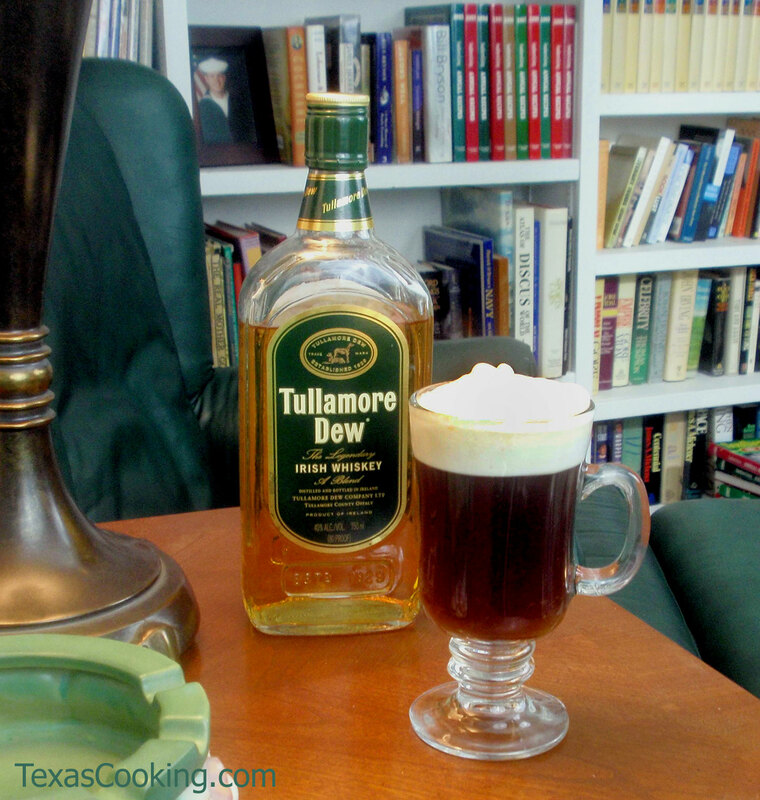 Irish whiskey and only Irish whiskey is responsible for the flavor (and corresponding warming jolt) to be found in Irish Coffee. No Créme de Menthe. Pour the coffee into an Irish coffee glass. Add the sugar and stir to dissolve. Stir in the whiskey. Then, pour the cream carefully over the back of a spoon so that it floats on top of the drink. Brown sugar can be substituted for the white sugar for a duskier flavor, and some folks prefer to lightly whip the cream before spooning it on top. But don't whip it until it's stiff. You're supposed to sip the drink through the cream; the cream shouldn't be a barrier between you and the important stuff. Note: Readers will enjoy our articles about Coffee in Texas and Cheryl Hill-Burrier's Wanna Fork with that Coffee?